Where are finds from glacial ice made globally, and when were the first finds discovered? The discovery of Ötzi the iceman in 1991 was the first archaeological find from the ice to gain worldwide attention. However, finds of artefacts from glacial ice were reported already in the early 20th century. Regions of finds from glacial ice in North America, the Alps and Norway. The size of the circle indicates the difference in the number of finds. 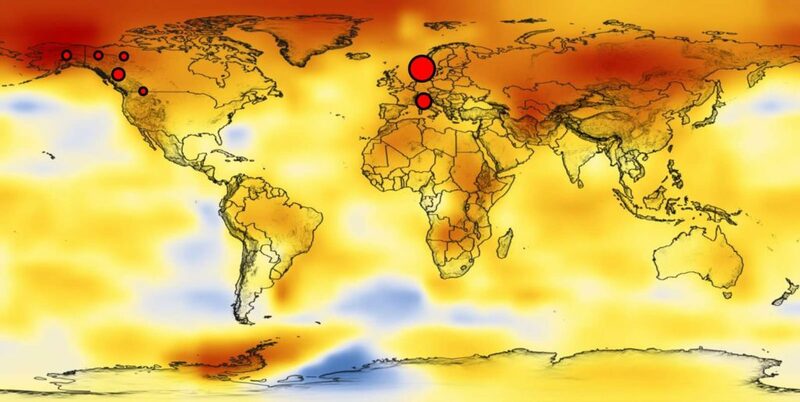 Background map: NASA – changes in the surface temperature of the Earth from 1880-2005. The first known find was an arrow recovered from an ice patch in Oppdal in Norway in 1914. 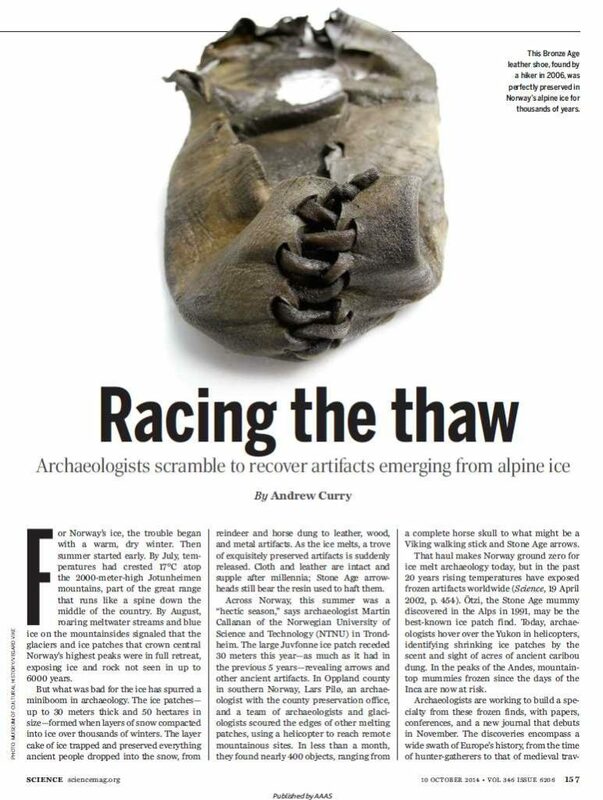 Finds also appeared elsewhere: a newspaper clip from British Columbia from 1925 tells of an arrow found on ice then. A 300 year old arrow, found on a glacier in Canda in 1925. Source: Keddie & Nelson 2005. An Arrow from the Tsitsutl Glacier, British Columbia. Canadian Journal of Archaeology 29. Even more finds appeared in Oppdal during the very warm summers of the 1930s, when a few finds were also reported from the neighbouring county Oppland. Things then quietened down until the late 1990s, when lots of arrows, atlatl darts and paleo-zoological material were reported from Yukon. Pretty soon similar finds, but fewer in number, appeared in the North-West Territories, British Columbia, Alaska and the U.S. part of the Rocky Mountains. Then, a dramatic melting episode in Norway in 2006 led to an explosion of finds here. 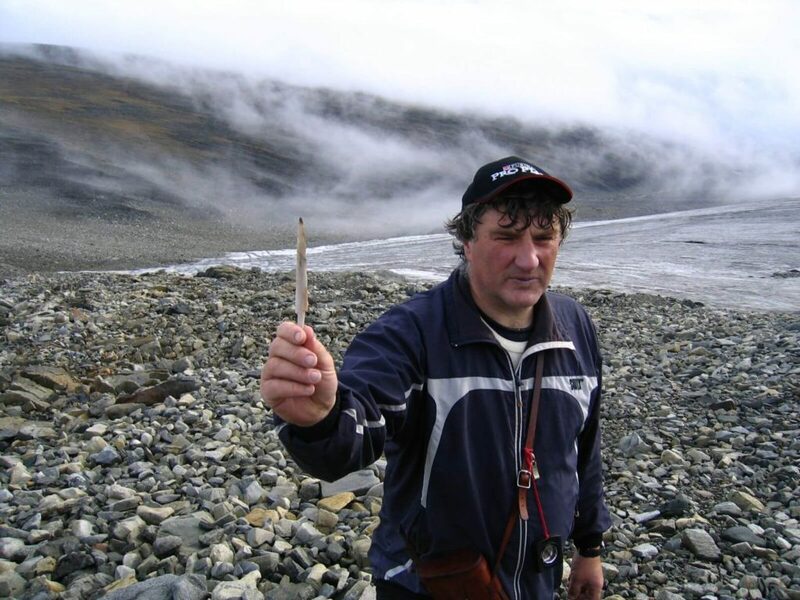 Jan Stokstad holding a bone arrowhead, found during the big melt in 2006. The arrowhead is several thousand years old. Photo: Ragnar Bjørnstad, Oppland County Council. While a few finds from the ice were recorded in Norway in the later part of the 20th century, the situation changed dramatically in 2006. This year there was a long and hot autumn, which led to very heavy melting. Hundreds of finds melted out of the ice in Oppland County that year. The high mountains of Oppland have seen repeated episodes of melting in 2007, 2009, 2010, 2011, 2013 and 2014. More than 2000 archaeological finds have now been recovered in Oppland County alone, making the region the most finds-rich area for glacier archaeology globally with more than half the finds worldwide. Oppdal has also seen melting and many new finds. Recently, finds have also started to appear in other mountain regions in southern Norway. While Norway has experienced continued and heavy melting of old ice in the 21st century, North America has seen more snow accumulating on the ice patches in recent years. This is probably a consequence of increased winter precipitation, and has given our colleagues in Canada a breather after heavy melting in the late 1990s. In the long run, however, melting will be back here also, as global warming will continue relentlessly. In the meantime, Norway is Ground Zero for glacial archaeology, as Science wrote in 2014. Where and when will the next finds from the ice appear globally?